Altitude: 3000-3500 metres above sea level. 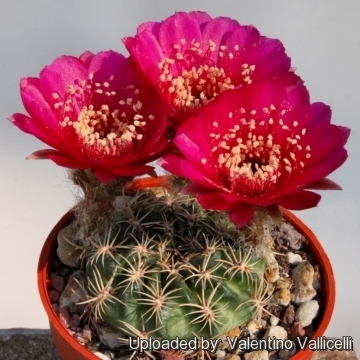 Description: Echinopsis cinnabarina var. 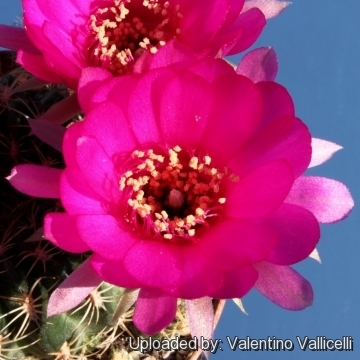 walterspieli much better known under its old name, Lobivia walterspielii is one of the morphological or local form of the very variable Echinopsis cinnabarina. It distinguishes mostly in having a very flat body, longer and more porrect yellowish spines and clear red cup-shaped flower. 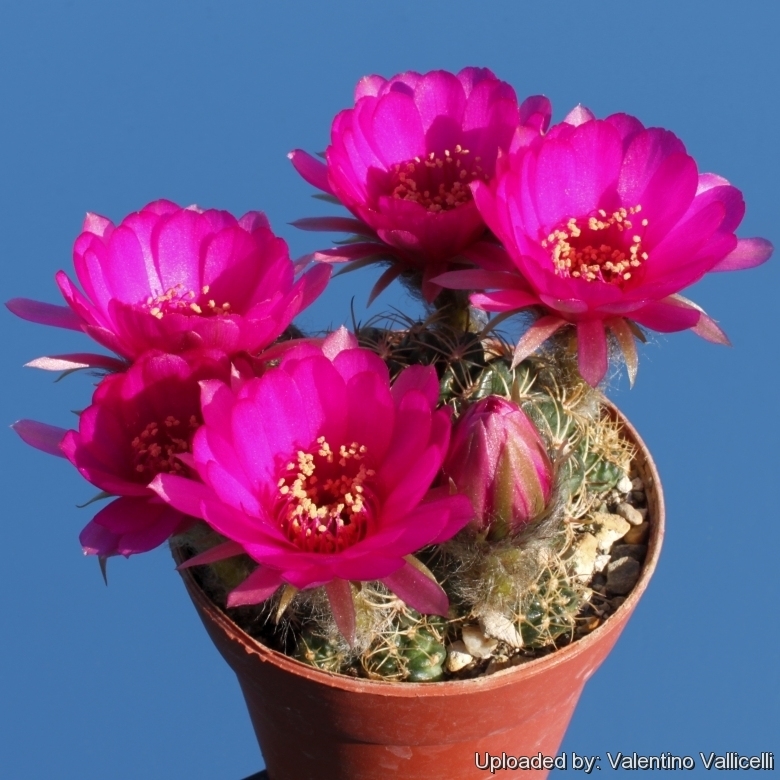 Habit: is a small cactus with a much flattened usually solitary body (sometime forms small few branched clumps). Radial spines: Longer and more porrect than in the standard Echinopsis cinnabarina, spreading, acicular, slender, Yellowish turning greyish eventually. Central spines: None or 1 to 3 stouter. Flowers: About 4 to 8 cm broad, near the plant apex, red cup-shaped. The flower's tube is covered by hairy lanceolate-acute scales with hairy axils. 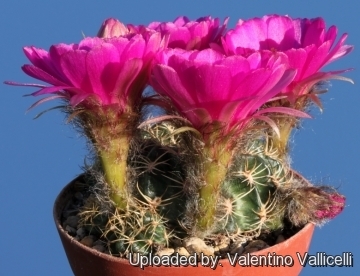 Cultivation and Propagation: Echinopsis cinnabarina is a summer grower species that offers no cultivation difficulties. Water regularly in summer (but do not overwater ) needs good drainage and very porous, keep rather dry in winter. Feed with a high potassium fertilizer in summer. It is quite frost resistant if kept dry (hardy to -12° C). Need a bright exposure, full sun or half shade in summer.